British Columbia, 1983. Work on a new highway through the province must start immediately in order to be ready for Expo 86. Trying to gain the town of Hope’s approval for the project, Highways Minister Clint Matheson dines with Chief Edwin Baptiste, and hears of the First Nations legend of Siaman who haunts Portia Bench, a perfect route through the mountains for the highway. Clint dismisses the legend, preferring to focus his attention on the chief’s daughter, Cindy. Work on the new highway is disrupted by strange sightings near Portia Bench and a growing wariness amongst the crew. But wooing Cindy and dealing with unruly employees becomes the least of Clint’s worries when a whole crew is murdered. Clint quickly learns that he shouldn’t have been so quick to dismiss the legend of Siaman. Ill-fated Clint Matheson. He lands what looks like the stellar job of his career—managing construction of a new highway across British Columbia, in time for the Expo 86 World’s Fair in Vancouver—only to find the highway must cross Portia Bench. That tableland, ideal for a roadway, is actually a graveyard. Centuries ago, a First Nations chief lost his bride there in an earthquake, and in his grief he forever cursed the land. Later, a horrible train wreck took more lives, including those of circus animals. So when Clint’s team starts surveying this cursed ground, spirits awake, and start fighting back. Survey teams are slaughtered when crew members suddenly go berserk. Surviving crew members see bewildering visions and hear incomprehensible noises. Clint, who learns of the legends from a contemporary chief and his daughter, plus a museum director knowledgeable about the Kootenay Central Railway, finds that maybe he shouldn’t have been so quick to dismiss the legend of the curse, especially once he starts seeing some of the visions himself. But Clint can’t make his bosses believe, and they refuse his begging to reroute the highway. He has to find some way to stop the spirits from going crazy and get the road built. Meanwhile, crew after crew comes to grief. Even nature conspires to set back the project, with harsh winters and mysterious wildfires. The story takes on a Grade-B-horror-movie flavor as the body count rises as an entire work crew is murdered. The plot of this story is about supposed progress interfering with a cursed landscape and unleashing primeval forces. Clint has to wrestle with some serious conflicting interests along with finding himself romantically distracted by Chief Edwin’s daughter, Cindy. 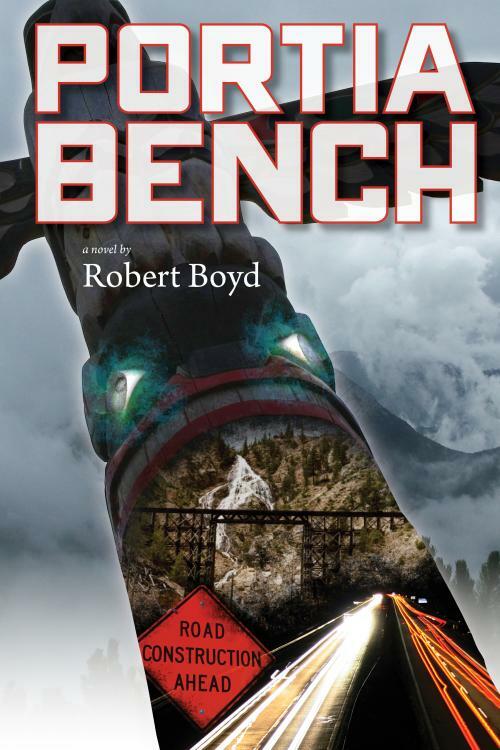 The most intriguing aspect of Portia Bench is the regional history brought to life by the author, who clearly has done his homework, and knows from experience the hardships of building roads across the high backcountry of western Canada. The central mystery of the story is: Will Clint be able to come up with a solution, or will the spirits wipe everyone out? The odds are against Clint and he must risk all to find a way.